LOCATION.--Lat 42°27'02.3", long 79°21'01.6" referenced to North American Datum of 1983, Chautauqua County, NY, Hydrologic Unit 04120101, 60 ft downstream of bridge on Van Buren Road (Matteson Street), 0.8 mi northwest of Fredonia corporate boundary, and 1.2 mi upstream from Beaver Creek. PERIOD OF RECORD.--Miscellaneous measurements--1962-63, annual maximum only--1987-2017. August 2017 to current year. REVISIONS HISTORY.--WDR NY-89-3: 1987 (gage height). 2015: 1991, 1996-97, 2002-07, 2009, 2011, 2013-14 (M). GAGE.--Water-stage recorder and crest-stage gage. Datum of gage is 637.01 ft above NAVD of 1988. 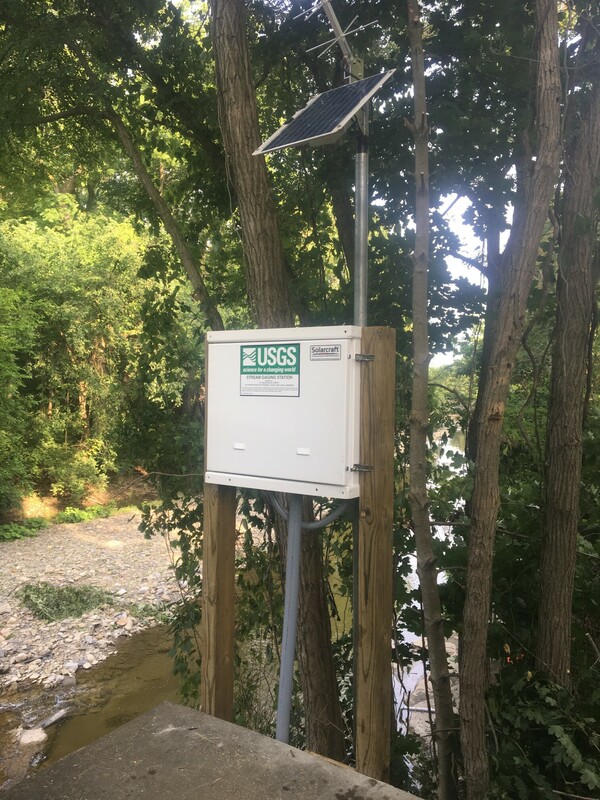 Prior to August 10, 2017, crest-stage gage at site 100 ft upstream and at datum 3.00 ft higher. EXTREMES FOR PERIOD OF RECORD.--Maximum discharge, 5,380 ft³/s, 10.73 ft, July 14, 2015, on basis of slope-area measurement of discharge. EXTREMES OUTSIDE PERIOD OF RECORD.--Flood of Aug. 7, 1979, reached an estimated discharge of 12,000 ft³/3, from U.S. Army Corps of Engineers (US Geological Survey WRI 83-4211), at site 1.7 mi upstream, drainage area, 30.6 mi². Flood of Aug. 1, 1986, reached an estimated discharge of 9,000 ft³/s.